The lunge (do I already hear a groan!) is one of Physiotherapists favourite exercises and it should be yours too, as there are some many benefits built into the one exercise. It targets leg strength, specifically your gluts, quads and hamstrings. Performed properly it requires your core to engage to provide stability. It requires you to activate your deep hip stabilisers to provide pelvic stability. 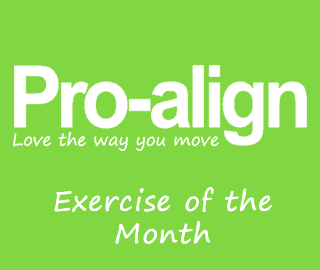 You work your outer muscles slings which contribute to providing additional pelvic stability. These slings are muscle groups that contract in a coordinated fashion. One of the slings the lunge targets is the lateral sling consisting of the gluteus medius /minimus and adductors on the same leg. If this sling is not firing appropriately the patient will walk with their hip dropping out to the side, know as the Trendelenberg gait (essentially how a model struts). They improve hip flexibility, specifically placing the hip flexor (commonly a tight muscle in runners/office workers) of the back leg on stretch when lunging. They are functional, therefore specific for everyday tasks like climbing stairs, vacuuming the floor and hitting a forehand winner! It is easily modified to suit the patient’s needs/level of fitness and able to be progressed as the patient is ready for new challenges. From your basic standing lunge, to stepping into the lunge, to multi-directional to adding in your arms drivers and/or spine twists. With each additional challenge there is more load placed on your pelvis to maintain stability, for example adding in a twist will activate the anterior oblique sling (oblique’s and opposite adductors). The lunge needs to be performed correctly to achieve these benefits, with attention focused on engaging your core, maintaining a level pelvis breathing throughout the exercise. Click on the image and download our sheet!